Our Customer Care Center provides 24 hour access to a live person for a great many of your customer needs. If your service offering includes television service (either CATV or IPTV) then you are probably aware of how important consistent and functional television service is during the NFL season. And football season is fast approaching. The NFL’s fan base is estimated around 181 million people. Last year it produced 23 of the 25 highest-rated TV shows of the fall season and Week-One games alone this year had 105.9 million fans watching. Our Customer Care Center data shows a 20% increase in television related calls during the NFL season as compared to any other time of the year. If television is part of your total package, then the NFL is the silver bullet to viewer satisfaction. 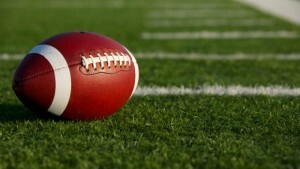 Are your customers able to reach a live person if they are having television issues during the big game? Are your on-call repair technicians able to get a real sense of issues about reported problems or are they left to guess from vague customer voice mails? If you do not have a live and informed call center that your customers can contact at these crucial periods you could be losing out on opportunities to not only resolve issues quickly but also to maintain overall customer satisfaction. Our Customer Care Center can provide your customers around the clock access to a live person to entertain their questions and concerns. We can provide Tier 1 support and response for CATV, IPTV and 611, answer general questions, provide company info and billing information. We also provide after-hours problem resolution dispatching and paging as well as sensitive data collection and submission for law enforcement agencies. All of these services can be customized to best suit your service model and your customer base. Lykins, VP of Tech Services at 1-800-578-6381, opt. 6, for more information. This entry was posted in Call Center, Uncategorized on August 6, 2013 by admin.